From bestselling author, Jackie French comes a book about the possibilities from the greener world of tomorrow. Suitable for ages 4-8. A timely picture book about a young prince who is determined to rule over a country where the future is filled with environmental hope - and practical solutions, such as common usage of solar and wind power. Lively, fun and positive, this book serves to give young people information about their world and shows them that a lot of environmental solutions are simple and relatively easy to put in place. Produced on recycled paper to reflect the message within, this is a beautiful book. Winner of the Wilderness Society's Environment Award for Children's Literature. Ages 4-8. Sue deGennaro studied film at university, and after focussing on drawing at art school she became an aerialist and performance artist. 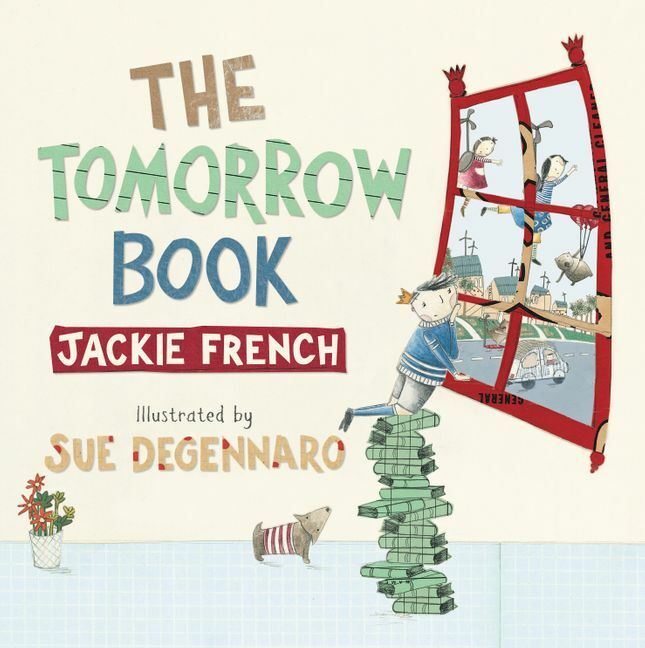 Sue lives in Melbourne with her two daughters and is the illustrator of The Tomorrow Book, The Hairy-nosed Wombats Find a New Home and Millie Loves Ants by Jackie French and Clarrie's Pig Day Out by Jen Storer.